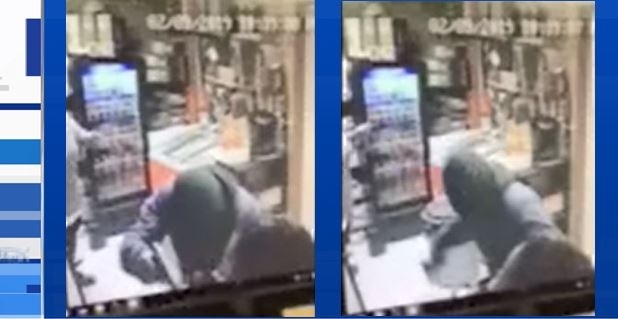 Ontario Provincial Police have arrested a man in connection with an armed robbery at a cigarette store on Mississauga First Nation earlier this month. On Tuesday, February 19 shortly after 12:30 pm, East Algoma OPP arrested a 35-year-old local man they believe was involved. He is facing four charges in total, including armed robbery, using a disguise with intent, and unauthorized possession of a prohibited or restricted firearm. The accused attended a bail hearing at the Ontario Court of Justice in Blind River via video on Wednesday, but the case was adjourned until Wednesday, February 27. Police in Mississauga First Nation have enlisted the help of provincial police from Sault Ste. Marie after an armed robbery Saturday, February 9. A masked man entered the cigarette store on Highway 17 shortly after 8:30 pm with a handgun. He pointed the gun at two women in the store and told the woman behind the counter to open the register and give him the money in it. A female customer was also told to hand over her cellphone to the robber. The man left the store in an unknown direction in an unidentified vehicle with over $2,000 in cash. An investigation is ongoing and includes the OPP canine and forensic units. Any person with information regarding the person(s) responsible for this theft should immediately contact the Ontario Provincial Police at 1-888-310-1122 or their nearest police authority. Should you wish to remain anonymous, you may call Crime Stoppers at 1-800-222-8477 (TIPS) or submit information online at www.tipsubmit.com or download the P3 APP where you may be eligible to receive a cash reward of up to $2,000.